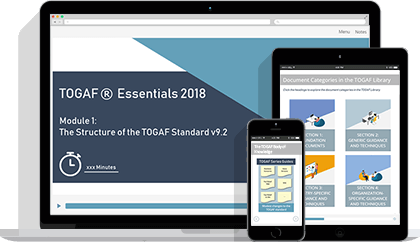 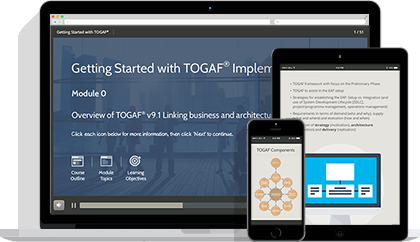 Enterprise architecture frameworks like TOGAF and ArchiMate offer a variety of benefits for enterprise architects, project managers and large-scale organizations. 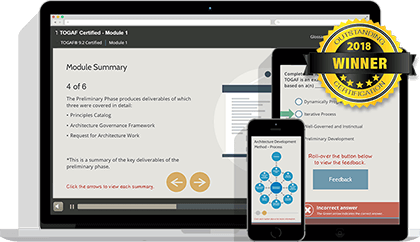 In particular, saving time and money! 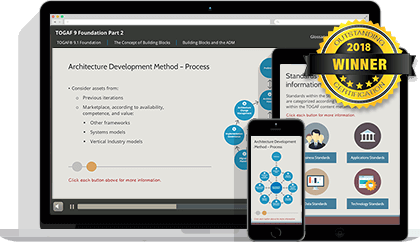 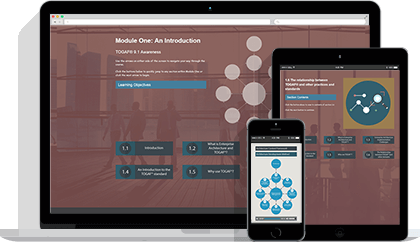 Good e-Learning provides proven and cost-effective training solutions for the most highly regarded practices and tools in Enterprise Architecture (EA). 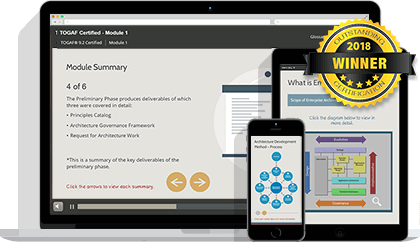 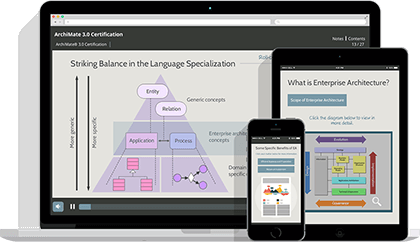 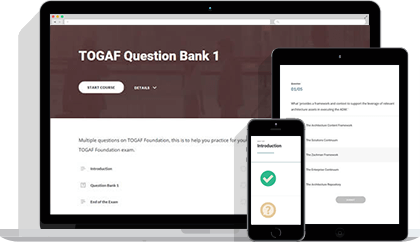 Whether you are a seasoned enterprise architect or a new student, we can provide excellent course content to suit your personal learning style.